About seven hundred years ago I attended a guitar seminar from Dan Crary, the noted bluegrass picker. Although Dan is known as one of the pioneers of modern bluegrass flatpicking, the first part of the seminar focused on solid rhythm playing. He played us a cassette (remember those?) of an unknown bluegrass guitarist that Crary identified as the best in the business. No one guessed the identity of the player. Turns out it was Rodney Dillard of The Dillards. During the first incarnation of the band, Rodney was not known as a hot flatpicker, rarely taking solos. He was, however, a solid and steady rhythm guitarist, keeping time and adding tasteful bass runs that still stayed out of the way of the bass player. 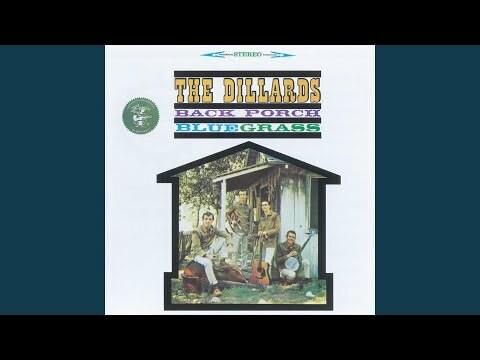 In the original Dillards, along with mandolin player Dean Webb and upright bass player Mitchell Jayne, he held solid ground while brother and banjo player Doug Dillard sent notes flying in all the right directions. To stay in bluegrass country for a moment, the ability to play hot solos does not necessarily remove the ability to play solid rhythm. Clarence White was probably one of the best bluegrass lead guitarists of all time, but he was also quite capable of laying down the firm tempo needed for bluegrass to soar. But a good strong cadence is inherent/needed in most types of music. Since some of folk music is not dependent on drums or percussion, the stringed instruments may have the full rhythmic responsibility. Although a strong base may not be easily identifiable, a weak rhythm is almost always readily apparent. Perhaps you’ve heard all the members of a string band happily playing the melody using several different tempos. Certainly, polyrhythms have a place in music, but there is significant difference between polyrhythms and bad or uneven timing and unfortunately the latter is far more prevalent. So what makes for a strong rhythmic base? Timing, timing and then of course, there is also timing. The use of a metronome may be considered rare in folk music, and the idea of using a click track to record folk music may seem contrary to the folk music credo. But it’s not. Some musicians are blessed with perfect timing, and some have to work on the concept. But varying tempos, unless done for dramatic effect occasionally, is just a sign of poor musicianship. One of the most worrying things a soloist has to deal with is an improper tempo behind their solos. The ability to solo with bad rhythm is a bit like being a tightrope walker who doesn’t trust his rope… or his net. The main job of percussionists and bass players is to play in time. The term “locked in” is often used to describe a good rhythm section. Not too loud: everyone wants to hear the singer or soloist. And not too soft. The singer and the soloist want to be able to hear the rhythm section clearly. And if all these components mesh, you have what is commonly referred to as “good music.” Head out this weekend (oh heck, don’t wait for the weekend) and catch some live music. Make sure to pay extra attention to the rhythm section and tap your foot along in time. In time, please. Dennis Roger Reed is a singer-songwriter, musician and writer. He’s released three solo CDs; appeared on two CDs with the newgrassy Andy Rau Band; three CDs with the roots rockers Blue Mama and one CD with blues roots band Suitcase Johnnie. His prose has appeared in a variety of publications such as the OC Weekly and MOJO magazine, Gram Parsons: God's Own Singer by Jason Walker and American Cinema and the Southern Imaginary edited by Deborah Barker and Kathryn B. McKee. Writing about his music has appeared in an eclectic group of publications such as the LA Times, Bass Player, Acoustic Musician, Dirty Linen, Blue Suede News, and Sing Out! He’s performed at venues and festivals throughout the US and Canada. He once played in a blues rock band at a Chinese restaurant on St. Patrick’s Day.